Home / Asher Roth / Aubrey O'Day / Children of Bodom / Courtney / Eddie Murphy / Glee / Helena Paparizou / Music / Playmen / Remade / Riskykidd / Scrubs / Shanell / Sharam / Weird Al Yankovic / '80s Music Remade: "Party All The Time"
'80s Music Remade: "Party All The Time"
Time once again to explore '80s music and how it's been remade over the years. 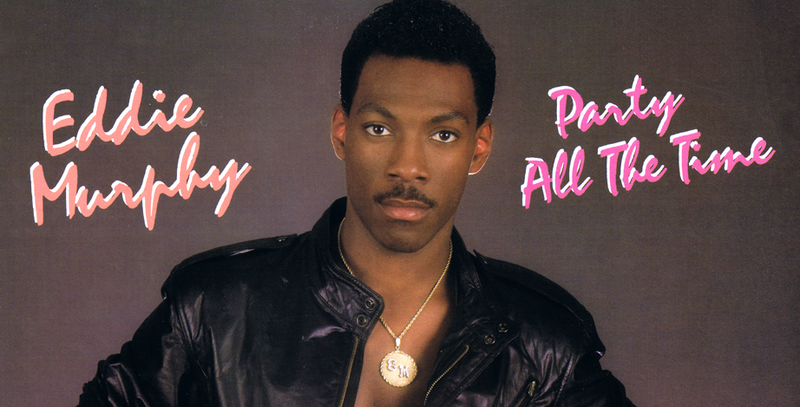 July 20 marked the 30th anniversary of Eddie Murphy's music debut How Could It Be featuring the hit single "Party All The Time." Despite the song's commercial success (RIAA Platinum), the album has been widely criticized for years as one of the worst from the '80s. I've got no personal experience other than the single, but I would assume the critique is based on Murphy's vocals despite collaboratoring with the likes of Rick James and Stevie Wonder. Good or bad, his album also opened the door for the musical careers of other actors like Don Johnson and Bruce Willis. Weird Al Yankovic "Polka Party" - Weird Al's polka montage from 1986 featured a cover of "Party All The Time." Of course, Weird Al covers everyone so not really a surprise he included it. Sharam "PATT (Party All The Time)" - In 2006, Sharam remixed the track to a techno beat and even went as far as recreating portions of the music video. It reached #8 on the UK Singles Chart. Shanell & Aubrey O'Day "Party All The Time" - These two ladies along with Grammy Award winning producer Maestro produced a new pop version of the track in 2009, but never charted. Children of Bodom "Party All The Time" - In 2011, the death metal group Children of Bodom released a cover as a bonus track on their Relentless Reckless Forever album. Asher Roth feat. Meek Mill "Party Girl" - Hip hop artist Asher Roth released this single in 2012 which features elements of the original throughout. It failed to chart. Playmen feat. Helena Paparizou, Courtney and Riskykidd "All The Time" - This pop electronic collaboration was released in Greece in 2012 and contains elements of Murphy's original track. It climbed to #2 on the Greece Airplay chart.